Mollie the Horse was Saved! 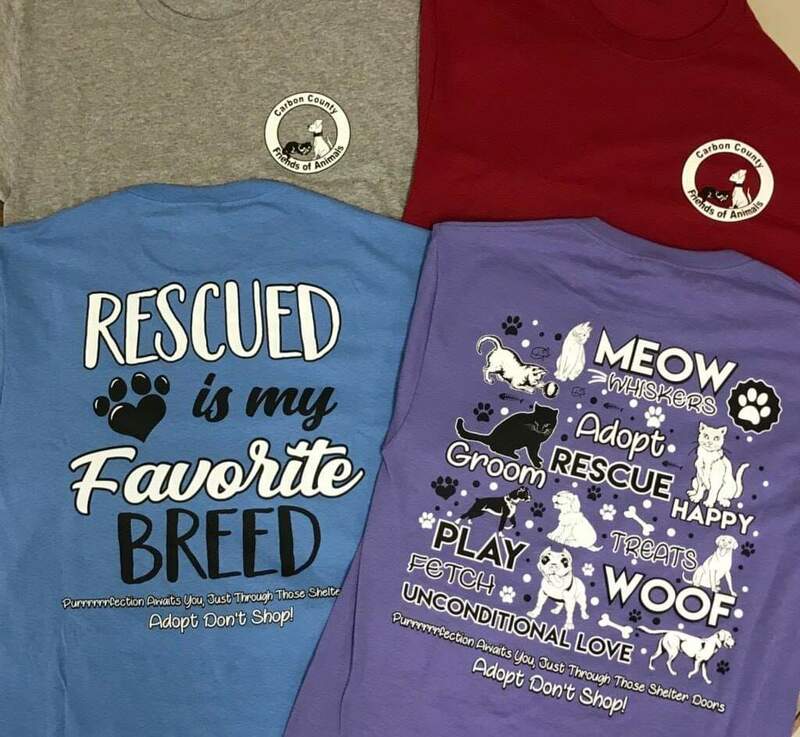 Help support CCFOA by purchasing a T-Shirt for $15.00! Shirts are available in children’s sizes and adult size S-3XL. Colors: grey, red, blue and purple. Available for purchase at the shelter. Gertrude Hawk Candy Bar Sale!! We are now selling Gertrude Hawk candy bars for $1.00 each, as well as planning future fundraising activities. Please let us know your ideas! Help us help unwanted kitties find forever homes! The sale is going on NOW! Call the Shelter 570.325.9400 or Denise 570.325.4310 for additional information and if you can help sell candy bars!!! iGIVE.com – This site can be used to purchase personal items online. If you register with them and designate a charity such as CCFOA, a percentage of your purchase will be donated to us! Please contact the shelter for more information on ways you can help us earn a few extra dollars to help the needy animals we have here at the shelter. CCFOA is now on Twitter! Follow us on Twitter for news, events, and updates about Carbon County Friends of Animals. Remember that if you do a search on Twitter, the shelter page is located at CCFOAshelter not just CCFOA. Then click on the RSS Feed button located in the pink area on the right of the Twitter page to receive notification of new CCFOA Twitter posts! It’s easy and a quick way to stay up-to-date on CCFOA happenings. Of course, if you are on the CCFOA email list you will also continue to receive our updates via e-mail. If you wish to be added to the e-mail list at any time, just e-mail me your request. As always, your e-mail is never shared. People wishing to report a case of animal cruelty can contact the Carbon County Cruelty Officer Donna Crum at 610.703.6558. If Donna is unavailable, please contact your local police department for assistance. Those wishing to make a donation to help fund the work of the officers, can send their donation to: Carbon County Friends of Animals, 77 West 13th Street, Jim Thorpe, PA 18229. If you would like to donate to CCFOA, please click HERE for options.